Experience the many splendours of Wellington, New Zealand - the “Coolest Little Capital in the World.” Nestled in the heart of the Wellington Central Business District, the James Cook Hotel Grand Chancellor is the perfect gateway to New Zealand’s political and cultural capital. From the Museum of New Zealand Te Papa Tongarewa to the thriving nightlife of The Waterfront and Courtney Place to fashionable shopping and art galleries, the “Harbour City” has something for every visitor. The James Cook is ideally situated on the doorstep of Lambton Quay's shopping golden mile, Parliament, the Cable Car and Queens Wharf including the TSB Bank Arena & Shed 6. Westpac Stadium is also nearby and easily accessible when organising your weekend getaway to Wellington. Wellington and its neighbouring regions are home to plenty of cycle trails to keep you busy. Take a journey into New Zealand's past along the Rimutaka Cycle Trail and leisurely pedal through rural landscapes. Start your Wellington region cycleway adventure at the James Cook Hotel Grand Chancellor. We can securely store your bike before and after your ride. When planning your holiday in New Zealand, please consult our Concierge for sightseeing recommendations and assistance with tour arrangements. 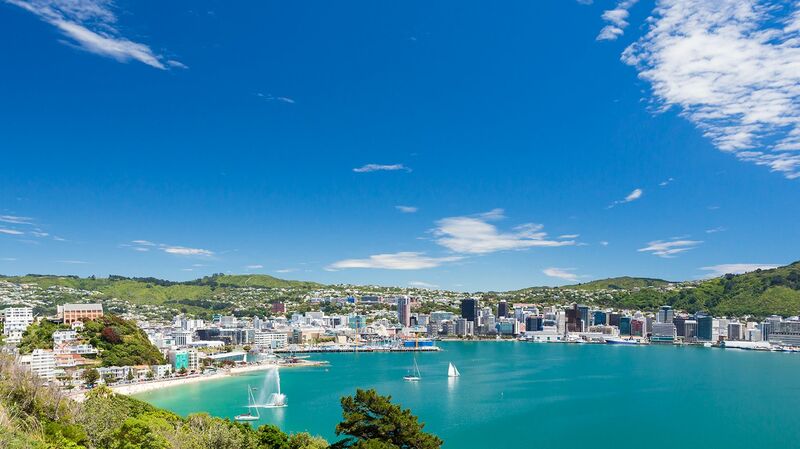 Wellington is considered the hub of New Zealand arts and culture, offering an exciting array of theatre, music, sports and arts events throughout the year. For more information or to purchase tickets to upcoming events, please visit the WellingtonNZ website. Whether you have an ultra-modern style or are more classic-chic, the variety of stores in Wellington is certainly going to provide you with retail therapy. Stroll through designer stores such as Karen Walker, Zambesi and department store David Jones along the high market retail district of Lambton Quay. Alternatively, you can delve into the eclectic stores along Manners Mall and Cuba Mall for a bit of something different and most certainly unique.